How long is your business plan? A few years ago, you might have written a massive 90-page document outlining everything from the general to the nitty-gritty. But business is different today. Companies and industries change rapidly – sometimes so much so that, by the time your plan is complete, the market has shifted again. And for many businesses, the plan itself becomes a point of procrastination. The business model canvas solves that. It’s a complete overview of how your business will run, made to shift and change as you do, on just one page. 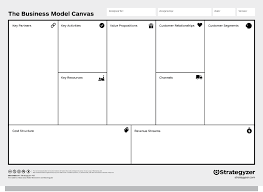 Just like a traditional business plan, the business model canvas describes the value your company provides, the infrastructure behind it, the customers it serves and the financial models that keep it running. Where it’s different: it’s simple enough to draw on a white board, and can easily be updated, changed and shared — all important points in a world where we need to iterate frequently and pivot quickly. Think big… and small. Condensing your business plan into a single page or chart isn’t easy. Identifying the ideas that make it onto the canvas is a valuable exercise in figuring out what matters most and what you’re missing. Validate and test. Once you’ve got your key information on the canvas, you’ll have some hypotheses you can start testing right away. Find what works. Then keep repeating. Put the pieces together. While it’s tempting to look at each category individually, the exercise puts them in context of all the others to find gaps you’ve missed and opportunities you can seize. Communicate. The at-a-glance approach makes the plan not only faster to digest but easier to communicate with other members of your team, partners, stakeholders and even investors. Iterate and maintain. In an agile world where things change quickly around us, we need a business plan that can keep up. The canvas can be adapted as fast as your business can pivot, meaning you won’t get stuck when the ground shifts. Don’t get caught up in the nine categories – it’s actually a customizable approach. The template is a great jumping off point — but that template can be adapted to fit the specific needs of your business. There’s no one “right” way to build a canvas. And it does one thing really, really well. “We designed the Business Model Canvas (BMC) to answer a single question: how does your business create, deliver and capture value,” says its creator, Alexander Osterwalder. 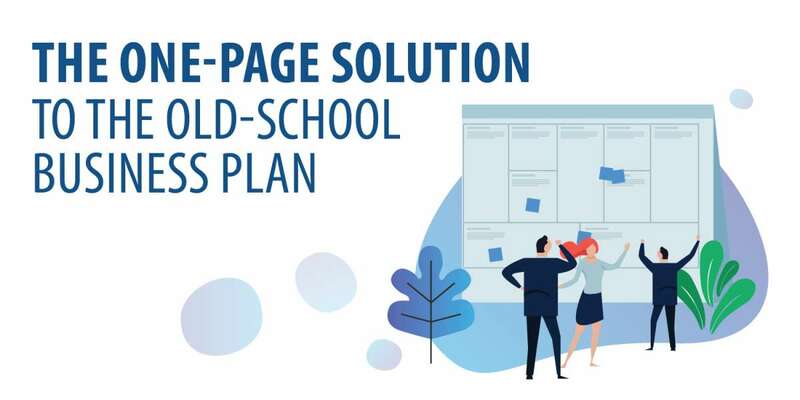 Given the benefits of the one-page approach, it’s no surprise the business model canvas is already in use with over 5 million people worldwide, including leaders from organizations like IBM, Deloitte and Public Works and Government Services Canada.